THE DEADLINE FOR SHORT FILMS HAS BEEN EXTENDED UNTIL MONDAY JANUARY 21st. First Cut! Youth Film Festival is thrilled to announce that submissions for the 2019 festival are now being accepted! If you are between the ages of 12 and 24, and have made a short film, we’d love to see it! Whether you are an individual filmmaker or part of a school, college or youth group, just follow the instructions below to find out how to submit your film free of charge. Every type of film is welcome, including fiction, documentary, animation and music video. 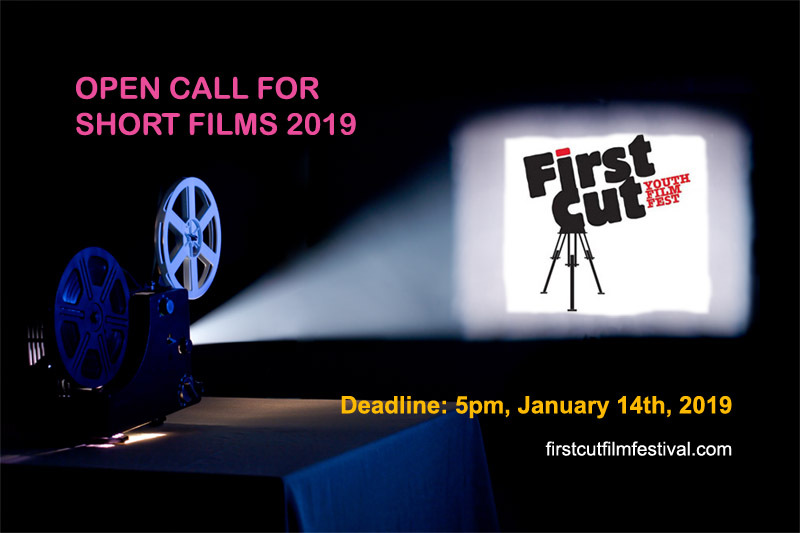 Prizes are awarded to open call films in several categories. To find out how to enter, see our Call for Entries page. Based at the Mall Arts Centre in Youghal, Co. Cork, this annual festival is dedicated to showcasing new films by young filmmakers. Now in its tenth year, it offers screenings, workshops and talks by film industry professionals in a friendly atmosphere where young filmmakers can meet and mingle with their peers.